Each week on On a Mission, Our host Penny Kievet talks to non-profit organizations that are helping the community. Today, Penny spoke to Dawn Gilman from Changing Homelessness. The organization was formed in 1974 by a group of concerned and engaged social service agencies and religious leaders, Incorporated in 2001 under the name Emergency Services and Homeless Coalition of Jacksonville as a 501(c)(3) organization and lead agency for services in support of ending homelessness in Duval, Nassau and Clay counties, we are now officially known as Changing Homelessness. To learn more, please visit Changinghomelessness.org. 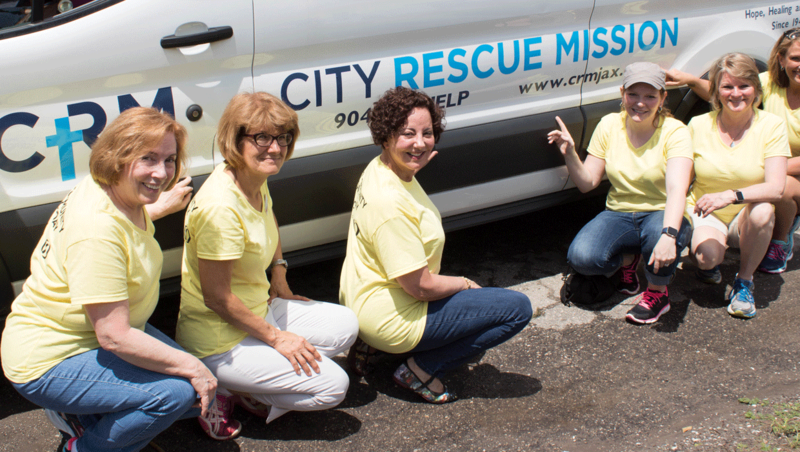 Penny Kievet is no stranger to the non-profit world having spent her entire professional career as a teacher, principal, college professor, trainer and executive with the American Management Association and now the Executive Director at City Rescue Mission. Prior to her move to Florida Penny lived and worked in Heidelberg, GR, Kansas City, MO, West Des Moines, IA and New York, NY, Kievet has served on 26 for-profit and non-profit boards as director and Board Chair and has also held local, state and national offices in numerous professional organizations and currently serves on the board of Feeding Northeast Florida, Safe To Hope, Inc. and the Association of Gospel Rescue Missions national board. Some of her recent awards include: Girls Inc. Woman of Vision, The Jacksonville Business Journal Woman of Influence Award, 2000 Most Notable Women in the United States, Who’s Who VIP Professional, National President of Pi Kappa Delta, 100 Top Female Executives in the Southeast , National President Cross Examination Debate Association, Outstanding Women in the Mid-west, Who’s Who in Executives and Professionals and numerous sales achievement awards.